Free Association Radio aka FAR is your portal to Exopolitics, Consciousness, Strange Attraction, Parapsychology, Music and Astrology. Three times a week, we'll take a journey to the far reaches of what's possible and challenge your concepts regarding this slippery domain known as reality. We start the week with The Monday Mashup, an intelligent rant and rave about the state-of-the-universe and the news of the day. Wednesdays we trip around the stars, "Navigating The Astrological Matrix" where Robert gives live, free readings and astrological advice and insight. "Far Fridays" is two hours worth of in depth interviews with the likes of George Green, Linda Kohanov, Dr. Phil Valentine, Jay Weidner and others. Caller participation is highly encouraged. Your voices help us go even further on FAR. 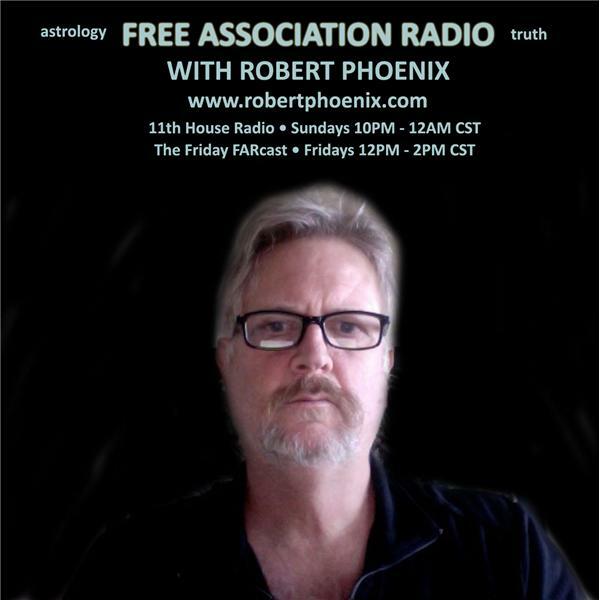 Robert Phoenix is a journalist, blogger, interviewer, astrologer and psychic medium.